A thorough and in-depth dental exam takes about one hour and includes state of the art 3D imaging and high-resolution photos of all the teeth. Why? Would you consider getting a knee or hip replacement without an MRI or a CT Scan? Probably not. Similarly, a proper and extensive dental exam should be taken seriously, using advanced technology and 3D imaging because this gives you a correct diagnosis with no margin for error. It also ensures that you are totally informed of all of your treatment options. 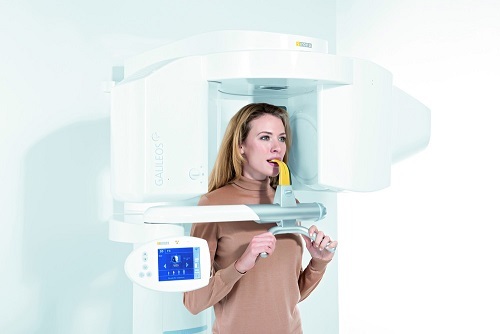 Another important aspect to consider is that a dental 3D CT scan provides a three-dimensional image of the mouth which is much more detailed than traditional, flat dental x-rays such as bitewings or a panoramic scan. A 3D scan provides much better information for a higher standard of care. The scanning process takes less than 10 seconds and provides our doctors three-dimensional, cross-sectional views of existing teeth, bone, nerves, and tissue. 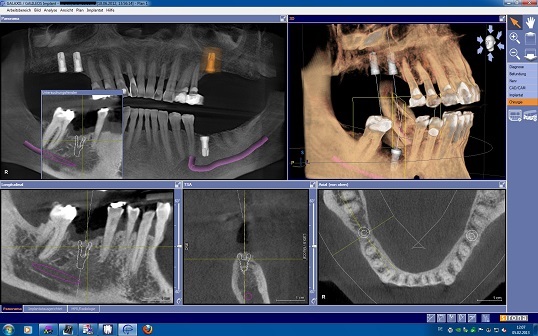 Of course, if you are looking for dental implants and surgical procedures, then 3D scanning is even more important. This scan takes just a few short moments to load and is soon ready for diagnosis. 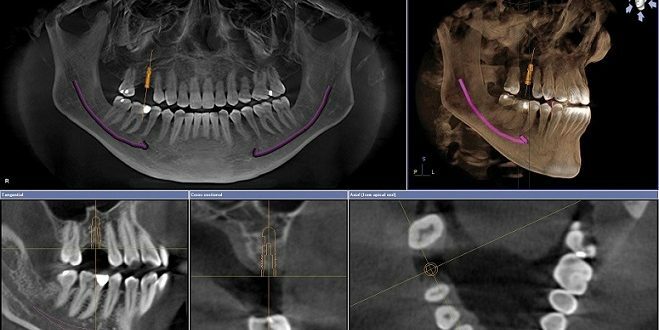 The specially integrated software allows the dentist to check the best areas of bone for implant placement, where bone graft and tissue regeneration should be done, which implant size is ideal for you and the exact position or angle it must be placed at. Every treatment plan is personalized and the doctor can offer different options if the first doesn’t fit with your plans.